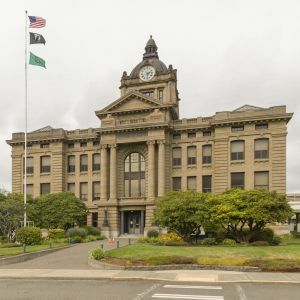 Photos of the Cowlitz County Courthouse in Kelso, Washington. The Kelso courthouse was designed by W.W. Lucius. The brick Kelso County Courthouse was constructed in 1923. A newer courthouse, the Cowlitz County Hall Of Justice, was built in 1975. All photos in this collection © Capitolshots Photography/TwoFiftyFour Photos, LLC, ALL RIGHTS RESERVED. Please contact Capitolshots Photography at info@capitolshots.com if interested in licensing any of the images in this collection. 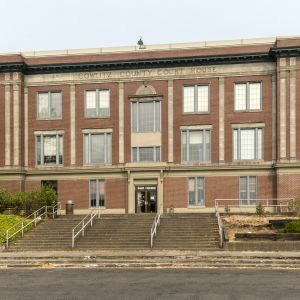 Photos of the Grays Harbor County Courthouse in Montesano, Washington. The Montesano courthouse was designed by Watson Vernon. The Grays Harbor County Courthouse, a Beaux Arts structure, was constructed in 1912. All photos in this collection © Capitolshots Photography/TwoFiftyFour Photos, LLC, ALL RIGHTS RESERVED. Please contact Capitolshots Photography at info@capitolshots.com if interested in licensing any of the images in this collection. 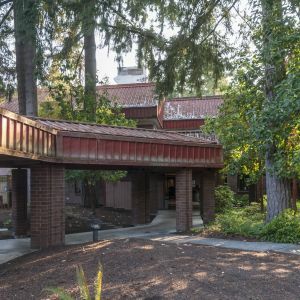 Photos of the Kitsap County Courthouse in Port Orchard, Washington. 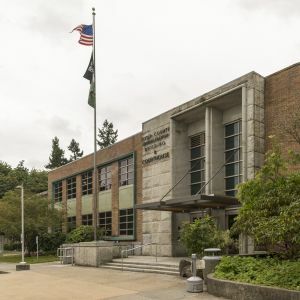 The Port Orchard courthouse, a Moderne structure, was constructed in 1935. All photos in this collection © Capitolshots Photography/TwoFiftyFour Photos, LLC, ALL RIGHTS RESERVED. Please contact Capitolshots Photography at info@capitolshots.com if interested in licensing any of the images in this collection. 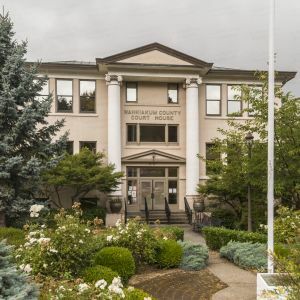 Photos of the Mason County Courthouse in Shelton, Washington. The Shelton courthouse was designed by Joseph Henry Wohleb. 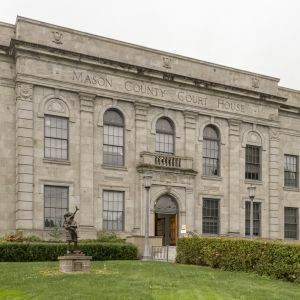 Built in 1930, the stone Mason County Courthouse is listed on the National Register of Historic Places. All photos in this collection © Capitolshots Photography/TwoFiftyFour Photos, LLC, ALL RIGHTS RESERVED. Please contact Capitolshots Photography at info@capitolshots.com if interested in licensing any of the images in this collection. 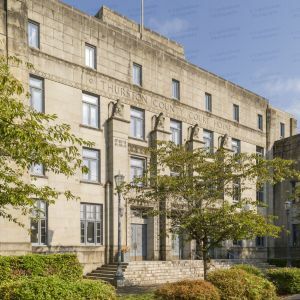 Photos of the Pacific County Courthouse in South Bend, Washington. The South Bend courthouse was designed by C. Lewis Willson. Built in 1911, the Pacific County Courthouse, a Beaux Arts structure, is listed on the National Register of Historic Places. All photos in this collection © Capitolshots Photography/TwoFiftyFour Photos, LLC, ALL RIGHTS RESERVED. Please contact Capitolshots Photography at info@capitolshots.com if interested in licensing any of the images in this collection. 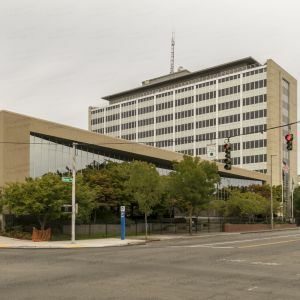 Photos of the Pierce County Courthouse in Tacoma, Washington. The Tacoma courthouse was designed by A. Gordon Lumm. The Pierce County Courthouse is part of the County-City Building, which was built in 1959. All photos in this collection © Capitolshots Photography/TwoFiftyFour Photos, LLC, ALL RIGHTS RESERVED. Please contact Capitolshots Photography at info@capitolshots.com if interested in licensing any of the images in this collection. Photos of the Thurston County Courthouse in Olympia, Washington. The Olympia courthouse was designed by MSGS. The Thurston County Courthouse, part of a three-building administrative complex, was constructed in 1977. All photos in this collection © Capitolshots Photography/TwoFiftyFour Photos, LLC, ALL RIGHTS RESERVED. Please contact Capitolshots Photography at info@capitolshots.com if interested in licensing any of the images in this collection. Photos of the historic Thurston County Courthouse in Olympia, Washington. The Olympia courthouse was designed by Joseph Henry Wohleb. Built in 1929, the sandstone historic Thurston County Courthouse, an Art Deco structure, served as the county courthouse until 1977. The building, which currently houses State of Washington government offices, iis listed on the National Register of Historic Places. All photos in this collection © Capitolshots Photography/TwoFiftyFour Photos, LLC, ALL RIGHTS RESERVED. Please contact Capitolshots Photography at info@capitolshots.com if interested in licensing any of the images in this collection. Photos of the Wahkiakum County Courthouse in Cathlamet, Washington. The Cathlamet courthouse was designed by Newton C. Gauntt. 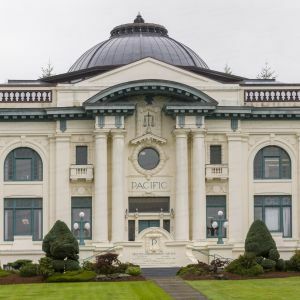 The Wahkiakum County Courthouse, a Classical Revival structure, was constructed in 1924. All photos in this collection © Capitolshots Photography/TwoFiftyFour Photos, LLC, ALL RIGHTS RESERVED. Please contact Capitolshots Photography at info@capitolshots.com if interested in licensing any of the images in this collection. 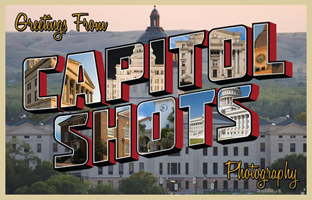 Royalty-free licenses are available for all of Capitolshots Photography’s photos of Washington courthouses (without the watermarks, of course). You may email us if you are interested in licensing any image, which are available at several sizes, from 72-dpi web-quality JPGs all the way up to TIF files. You may also visit our ordering page for additional information. Looking for prints of Washington county courthouses? Our images work great for decorative art, presentations, office decor and gifts. All sizes available (without the watermarks). You may email us if you are interested in purchasing a print. You may also visit our ordering page for additional information. Click on any of the galleries of Washington courthouses above to view the images for each courthouse. The file name, which you will need to place your order, will be at the beginning of the caption underneath each image after enlargement.